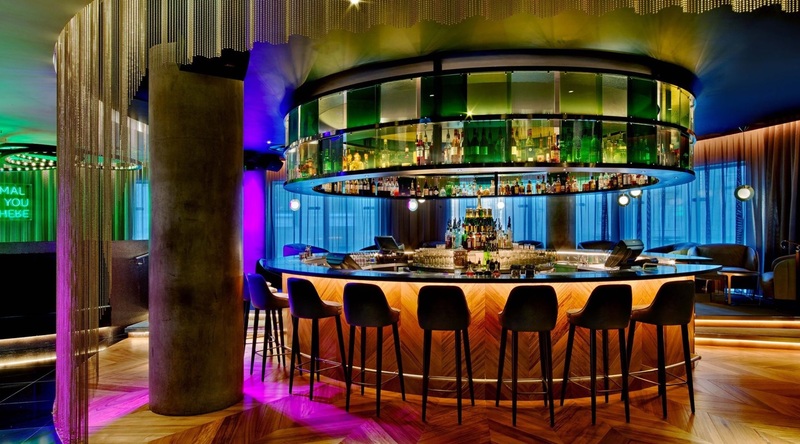 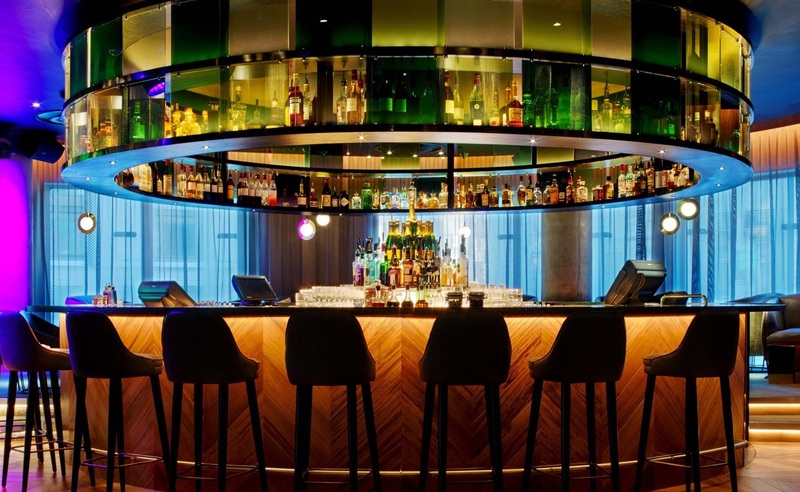 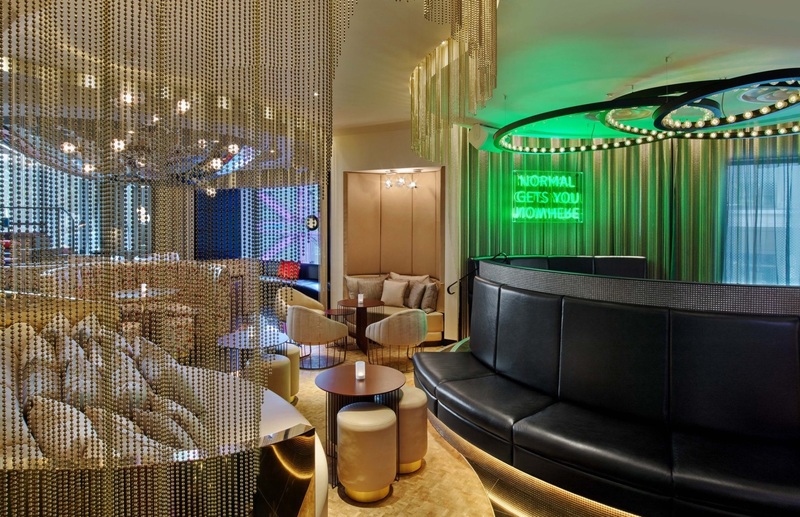 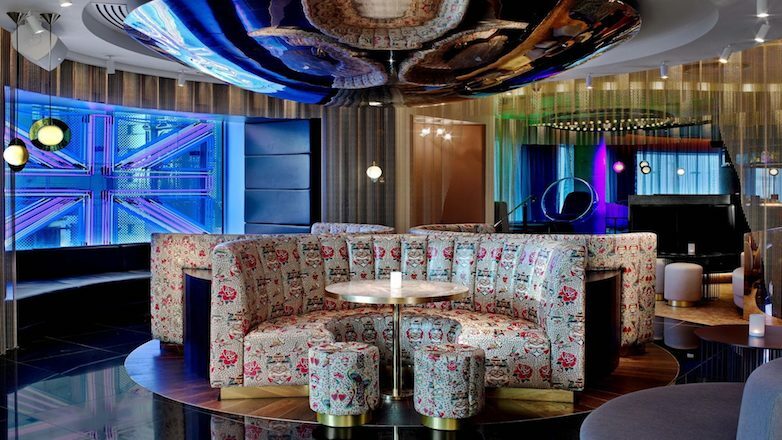 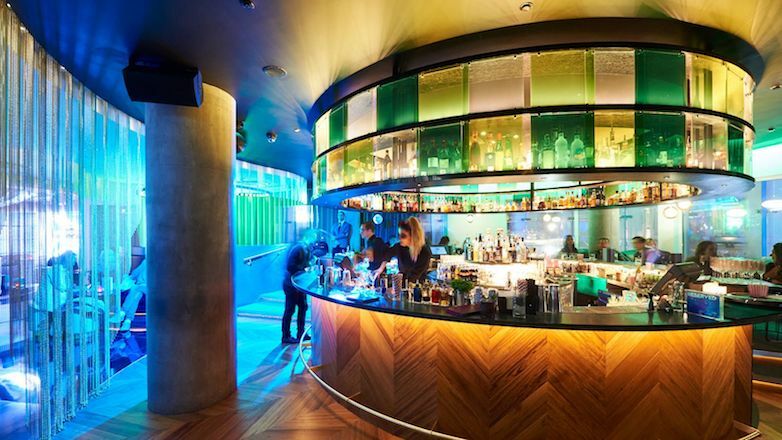 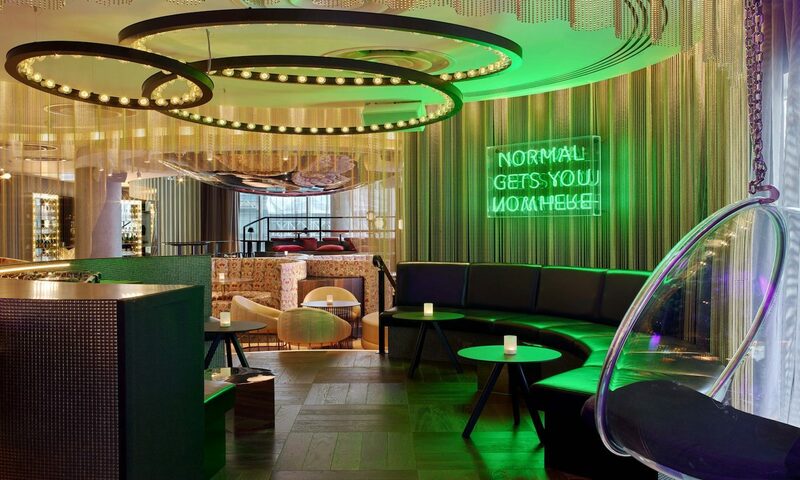 Located inside the W Hotel in Leicester Square, London, the Perception Bar is a new bar and lounge overlooking the streets of Soho. 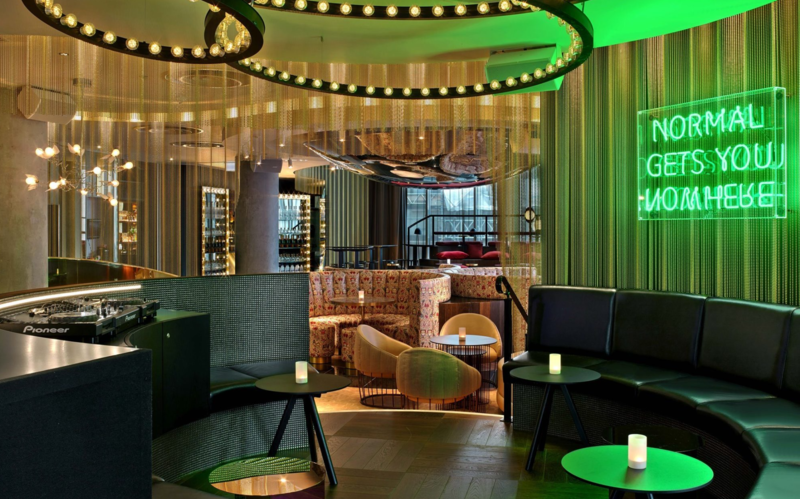 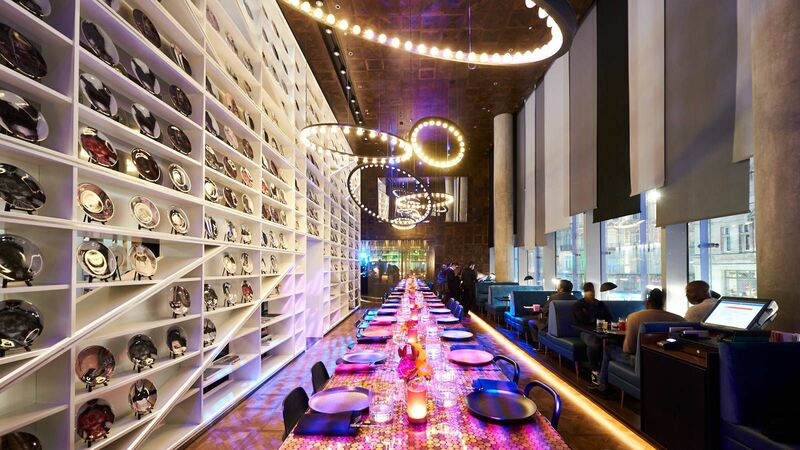 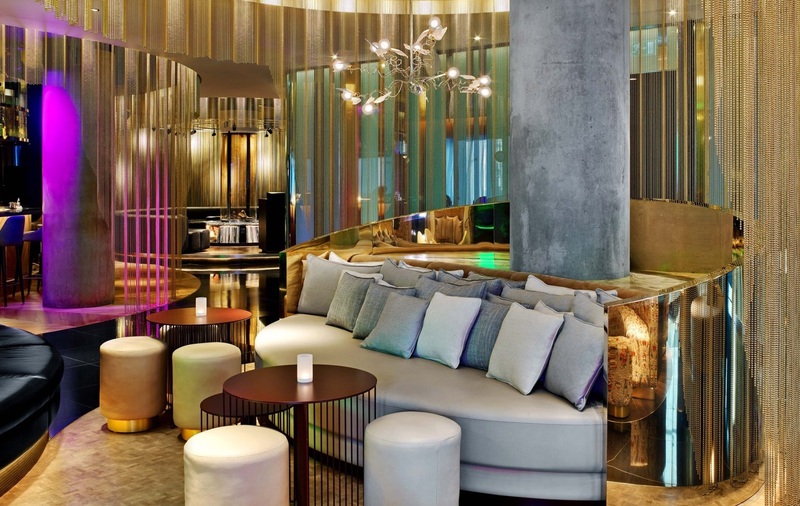 Designed by Amsterdam-based firm Concrete, the space features subtle references to the hotel’s love of fashion, music and design through its bold interiors and cultural references. 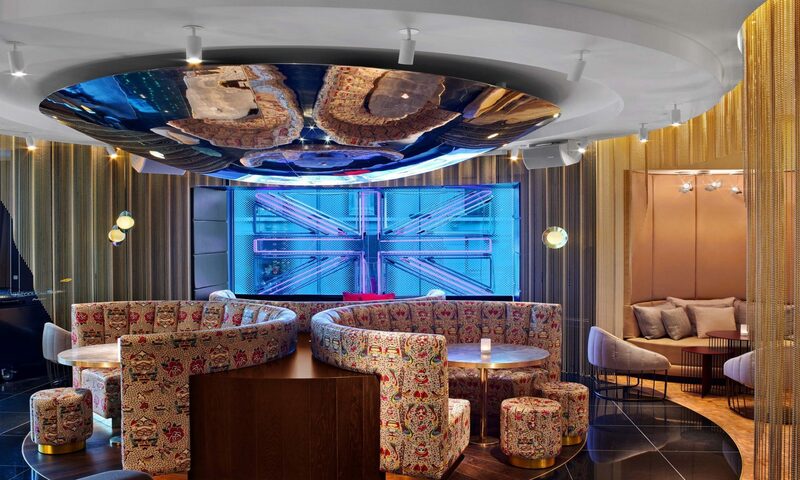 Intimate circular booths flank a central corner bar where hints of a traditional English pub meet with a sophisticated cocktail counter. 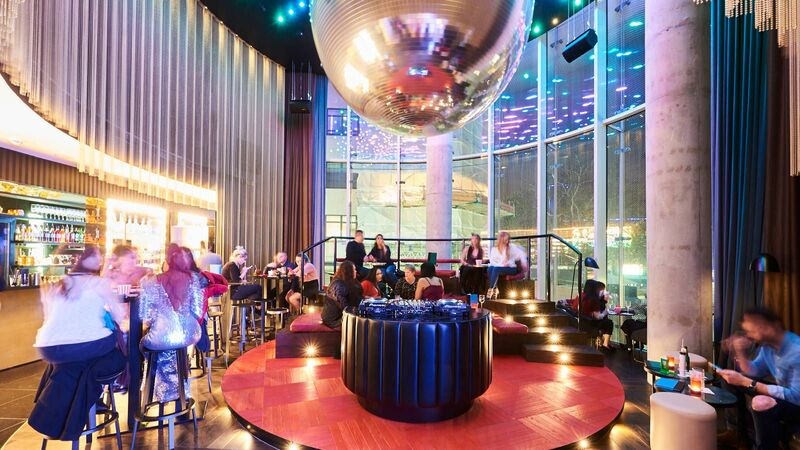 A striking colour palette of black and gold, offset with chic pastels and rich reds, produces a chic and exclusive atmosphere whilst spherical light sculptures, abstract neon artworks and a gigantic glitter ball create the perfect backdrop.